I previously worked for the University Learning Center at the University of North Carolina Wilmington as a CRLA Certified Tutor. I also taught a class of gifted 4th graders creative writing through a special program. Subjects previously tutored include but are not limited to: Pre-Algebra, Algebra, Geometry, Trignometry, Pre-Calculus, Calculus I, Math 112 at UA, Math 121 at UA, English, writing, ESL writing, MLA format, middle and high school history, middle and high school science, high school physics, and GRE math. I've worked with students with learning differences and ADHD. I've worked with adults, young adults, and teenagers with a variety of backgrounds. I've worked with home schooled students, public school students, private school students, college students, graduate students, professionals preparing to re-enter the education system, and foreign nationals. As a writer and artist with significant experience and success tutoring students in math and science, I have a rare mix of strengths to offer my students: excellent communication skills, a sense of humor, and an adaptive approach. Several of my students improved their class performance by two full letter grades. I genuinely enjoy working with teenagers and young adults. If a student is having a bad day and has trouble focusing on the problem at hand, I strive to be both kind and helpful. This can make an enormous difference in a student's ability to engage the material with me. I also believe that anyone can significantly improve their intelligence and mastery over a subject through hard work. I believe in my students and their ability to learn the material. My role is to serve as a guide, teaching them how to distinguish the forest from the trees, and help them figure out how to connect the dots. Because I sincerely believe in my students, they can focus on the work at hand and not worry about being judged by me. One student, halfway through Pre-Alegbra, raised an established low C to a high B by the end of the year and earned a IV on her math EOG, which placed her in the top 10% of all 7th grade students in North Carolina. Her hard work put her in an excellent starting position for Algebra and prevented her from being dropped from her honors schedule to accommodate lower level math classes. Another student with learning differences raised his cumulative GPA by over a point during the year and a half I worked with him on all subjects. He graduated high school on time with a cumulative GPA over 3.0 despite having been pulled out in the midst of his junior year. He was home-schooled through a certified online program under my direction and supervision. A third student, an 8th grader struggling in Algebra, had missed a few essential concepts in her 5th grade math class. After a bit of sleuthing, we found and closed these gaps. Her test grades shot up from C-range to 90+ in less than six weeks. A fourth student was failing Math 112 at UA. We began working together intensively in mid-October. He rallied and pulled an established F up to a C so he could continue on with his degree program without repeating this class. 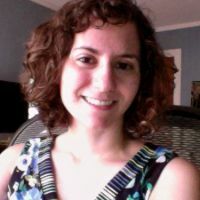 Several educators had dropped the ball on teaching a UA junior basic Algebra concepts in high school, and she needed to meet a certain threshold on the GRE to be a viable candidate for her chosen graduate program. After three sessions together, she was able to almost double her performance on practice tests and meet her goal in the actual exam. My rates are higher than most tutors in the region because I have an Ivy League liberal arts education, two terminal degrees (one in progress), over five years of experience, and can flex across many different subjects areas. This means that if I have been hired to work with a student on math but that student happens to be all caught up that day, I'm able to help the student improve skills or think through an assignment whether the topic is literature, history, or science. I also have a documented track record of success with students that other tutors have failed to help. See the stories below. For lower level classes (Pre-Algebra through Geometry) I do offer discounted rates for two or three students in the same class tutored as a group. Arrangements will be made on a case-by-case basis. On the issue of expense: if one is paying private tuition at a K-12 school or tuition at a university, consider the cost to yourself if, in skimping on the quality of your tutor or the time allowed for the student to master the skills, the class is failed. That student loses irretrievable time, and the financial investment of tuition yields a poor return by taxing the self-esteem of the student the class was meant to aid and improve.